The 2010 Baseball season is officially in the books. As I’ve been watching the MLB post-season I’ve found it fascinating how the TV people always try to find “story-lines” and other stuff to beef up the drama of the actual games. Why is that, I wonder. I suppose it’s so we can root for players, that perhaps, we can identify with and to persuade us to “pull” for one team/player. Ultimately, I guess it’s supposed to help us feel invested and make it that much more entertaining, especially if we have no particular affinity for either team. 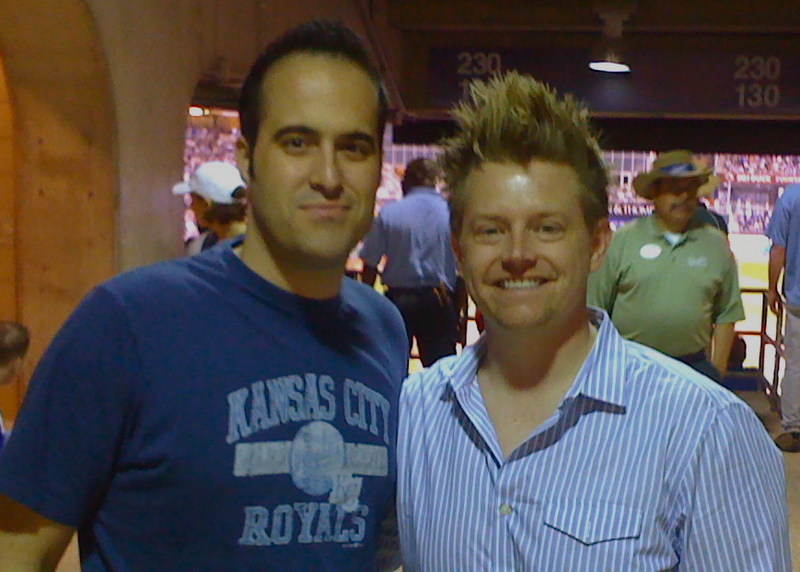 Anyhow, the video montages and tributes that have been paraded out this post-season reminded me of a brief conversation I had with Royals Assistant GM J.J Picollo at the 2009 Kansas City Royals Awards Night. There was a quite moving Video Tribute to the Royals of Past and Present that evening and I was quite taken by it and how the audience was reacting as well. We were backstage and I leaned over to J.J and said “Who needs reality T.V, this is the real deal, it’s so emotional.” He quietly nodded while watching the tribute and said, “that’s what it’s all about.” Of course it is. I guess the reason why is different for every person. Your dad used to take you as a kid, you met your wife at a game, or maybe you’ve just waited around since the early 1900s for your team to cash in and your “emotional attachment” to your team is a birthright. Regardless, any and all of those reasons prompted me to find THIS video. 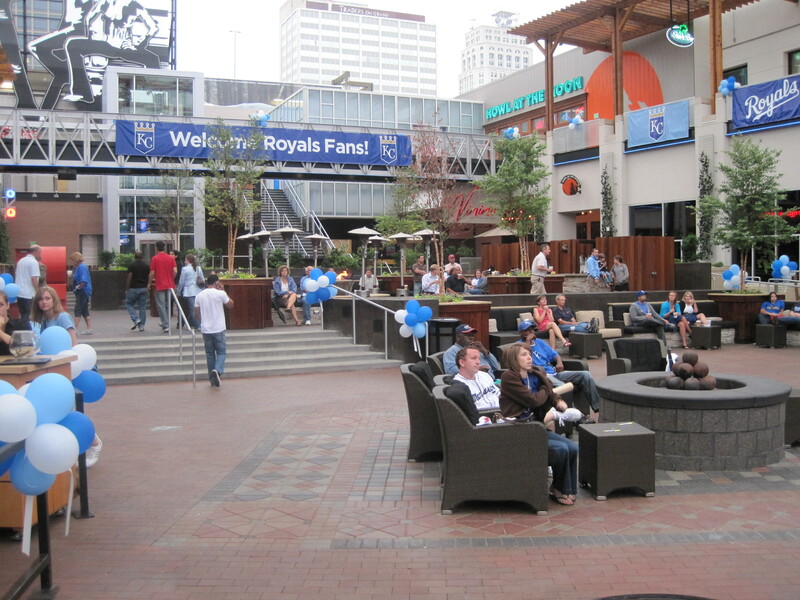 It was a part of the Royals Opening Day Celebration in 2009. To my knowledge, if you were not present at that game, you probably have never seen it… and you should. I think it’s a great reminder of why living in Kansas City and being a Royals fan is a pretty sweet gig. FanFest signifies many things, but perhaps most importantly it means that the average temperature in KC will soon rise above one degree. 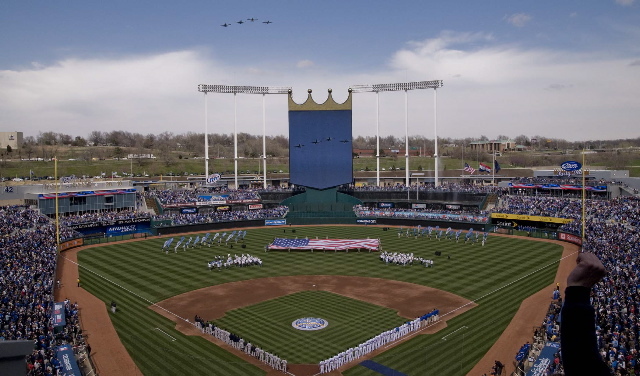 It is the first major event of the year for the Kansas City Royals and soon the dominoes will continue to fall: players will report to Spring Training, Spring Training will soon be underway and Opening Day will quickly be upon us. FanFest was “kicked off”, so to speak, with Royals Awards Night… and what a night indeed. When I first walked into the building I was in awe. It looked like the set up for the Grammy Awards or something. The powers that be really did a remarkable job. Last year was wonderful, but looked like a birthday party in comparison to the set up this year. There were fireworks, dancers, a big band and four Cy Young Award winners on hand. Not to mention several alumni from the 1985 World Series team in town to celebrate the 25th Anniversary! The following two days were a whirlwind as Royals Mania consumed the Overland Park Convention Center. Now this is just a guess, but I’d have to say more than 20,000 items were given (or thrown) to fans off the Sprint Main Stage alone. There were contests, and dance offs, and autographs and of course, plenty of baseball talk. As I hosted or co-hosted all of the forums at FanFest, I’d like to share what I think were some highlights of the two-day extravaganza. First off, I learned that Trey Hillman has no forecast for his facial hair and that an article in Japan once stated that he grew facial hair so fast that he was like “Rip Van Winkle on speed.” He seemed very excited about the season but wanted to temper his enthusiasm and use caution as he was very excited about last year’s team too. Dayton had some very good things to say as well. Mentioning that most likely Mike Moustakas will be invited to Major League camp and how big it was to sign Noel Arguelles in lieu of the offers from the Yankees and Red Sox. He credited that coup to the relationships that had been built by his staff. Very cool. During the Outfielder’s panel we may have discovered the new host of The Mark Teahen Show. Josh Fields joked that “maybe the four of us who are here from Chicago can make up for one Mark Teahen.” Brian Anderson added, “My lifelong dream was to be a guest on the Mark Teahen Show.” Both Fields and Anderson seem to be pretty good guys, and I think KC will feel the same way soon enough. The Infielders forum centered around Alex Gordon’s likeness to John Krasinski (Jim Halpert of “The Office”) and how he was ok with that because “he’s pretty good looking.” Also how poorly Zack Greinke finished in the Fantasy Football League and that Willie Bloomquist was Runner-up. Chris Getz’s hair stylings came up and Brian Anderson showed up during the Q&A in the audience to ask Getz how long it took him to get ready that morning. It was wild and fun and really cool to see how obvious the camaraderie and chemistry on this team already is. The final panel of players to mention is of course the pitchers, and they were joined by their newly acquired backstop, Jason Kendall. I knew what everyone was clamoring to know so I launched right in, “Well Zack, let’s get to what everyone wants to hear about, talk to us about your addiction to the World of Warcraft, what character do you play, class, race, etc?” Needless to say Zack can be tough to read sometimes and I wasn’t sure if he was going to totally shut me down, walk off stage, or what. Fans love Zack Greinke for a lot of reasons, I love him because the guy is so honest and uncensored and just shoots you straight. “I’m getting bad right now because I’m a Warlock and I think they’re getting nerfed right now,” he said. Awesome. Zack isn’t the only WOW fan on the pitching staff but the other guys were pretty mum on account of, according to Zack, their wives displeasure with WOW. When an audience member asked “who do you not like to face?” Gil Meche remembered how Pujols took him deep last year on a 3-2 change-up on the heels of 2 chest high fastballs, and then came my favorite comment from Jason Kendall, “Next time we face him we’ll have to make him uncomfortable.” Nice. Banny, Davies and Hoch all seemed in fine form and mentioned, along with Gil Meche, that they all feel great and are anxious for Spring Training to begin. I’m glad they are anxious, I am too. As the weather turns colder and baseball season has officially come to a close, I’m often asked if I’m enjoying my break. I suppose it’s natural to think that once the Royals stop playing my work is done, but that couldn’t be farther from the truth. The people in charge are always working on something. First off, those with the power have already been working long and hard to put together some incredible things for Royals fans to enjoy in the off-season. On January 14th, I will once again be hosting the Royals Awards Night, which is an incredible banquet honoring those players that did outstanding work in the organization during the 2009 season. I don’t want to give too much away about the event that’s being planned, but let’s just say it will indeed be an event. Awards Night is just a perfect way to kick off a busy Royals weekend. On Friday and Saturday, January 15th and 16th, we officially kick off our 3rd annual FanFest. I’ve sat in on a few meetings and FanFest 2010 is going to blow last year out of the water. Activities, players to meet, autographs to get and oh yeah, tons of FREE STUFF! So make sure you join us at the Overland Park Convention Center. As always, all ticket proceeds benefit Royals Charities, so you’re getting your baseball fix and doing a good deed at the same time. When was the last time you could say that? 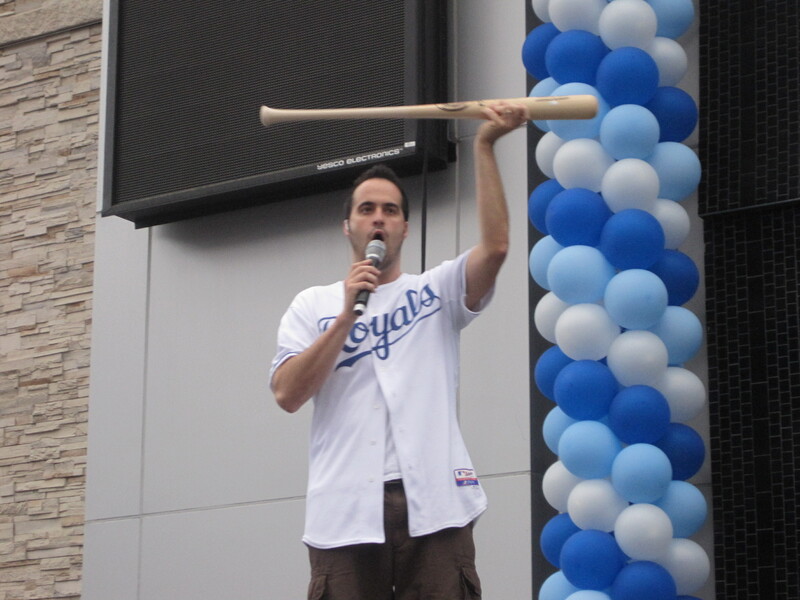 Also, some of you may know that in addition to being the Royals Emcee, I’m actually an actor by profession and my work with the Royals is just a fraction of all the work that I’ve been fortunate enough to do. It’s always a good idea to stay sharp in front of a live crowd and the good folks at the American Heartland Theatre in Crown Center are helping me out with that one. 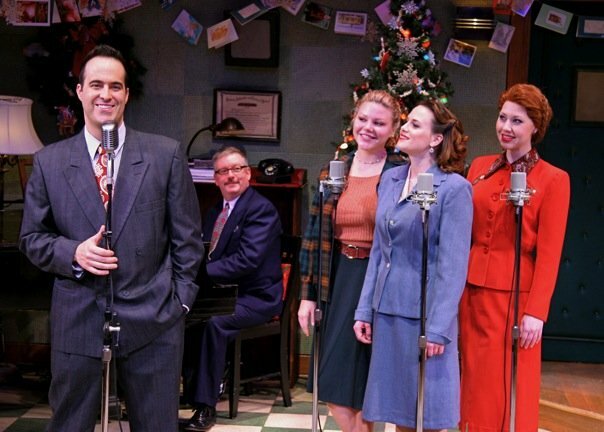 I am currently starring in their adaptation of the classic drama “It’s A Wonderful Life: A Live Radio Play,” running 8 times a week through December 27th. I feel so lucky to have rediscovered that great story with such a wonderful ensemble of the finest talent in Kansas City. What more could you want for the holidays? Well, I suppose that’s that’s it for now. Keep an eye on Royals.com for more info about FanFest and Awards Night. And be sure to get your tickets to the American Heartland Theatre’s production of It’s A Wonderful Life. Pitchers and Catchers report on February 17th. 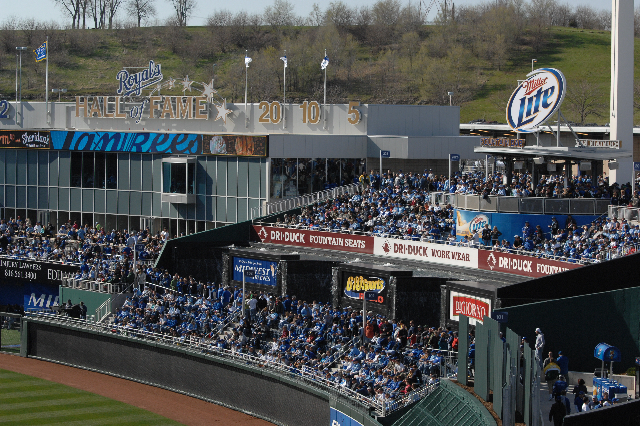 Hey, that’s just three months away… Go Royals! Although there have only been two “aired” to date this season, the response that I’ve gotten to “High Five Kansas City” has been extraordinary. For those unaware, it is the in-game feature in which I randomly high five players and then we turn and “stare” into the camera. The genesis of the feature was when Greg Schaum of The Royals Post Game Show on 610 Sports turned me on to a video on funnyordie.com. It was pretty random, but I found it pretty funny. We’re always looking for new ways to integrate players into our in-game features so we thought we’d give it a try. We caught up with Alex Gordon in Spring Training and spent about 30 minutes going to different locations and high fiving. Alex was great and came up with a lot of what we did on his own. We held off shooting anymore for a bit because we wanted to see how the fans reacted. It was a pretty obvious hit. There is nothing like seeing thousands of fans high five each other after the feature runs so… thanks for doing your part too! The players seem to really enjoy the feature as well. So much so that on an off day, #24 also known as Mark Teahen, flew back home to AZ and along with getting in some R&R managed to find time to film a “High Five” with his pooch ESPY, which was of course a highlight in his “High Five” montage. DDJ – Probably not going to happen. One of the key components of HFKC is being able to look into the camera with a “serious” look on your face. When was the last time you saw DDJ WITHOUT a smile on his face for longer than two seconds? Willie Boom Boom – I’m workin’ on it. He’s not opposed, just need to find the right time/place. The Skipper – You might see him in a cameo at some point soon. Rusty Kuntz – Um… Well, I’ll ask. Rusty seems like a good guy, and I’ve actually had more than a few requests about him. Why not? If you missed HFKC or any other feature you might find entertaining, you should be able to view at least some of them here. It should be noted that you can only see features that have already played at The K. At present we have two more segments that have yet to be shown, one with Mike Jacobs and another featuring multiple players, including Jose Guillen, Mike Aviles, Joakim Soria and others. 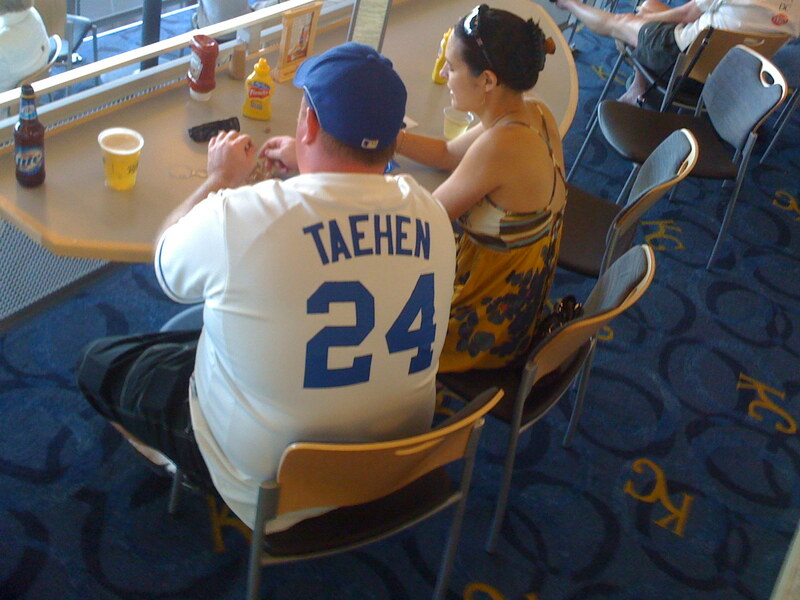 Ya never know who you might bump into at The K.
The other night I was wandering around the ballpark when I see a familiar face. I think to myself, certainly that’s not him… What would he being doing in Kansas City… And although his hair stylings are pretty recognizable, I decide to continue on my path and assume it is not he whom I think it might be. Later in the evening though, I see him again and I figure… Ah, what the heck. “Ya buddy, what’s goin’ on?” says Richard Blais. Now for those of you who might not know, Richard Blais was a finalist on the hit Bravo TV show TOP CHEF. 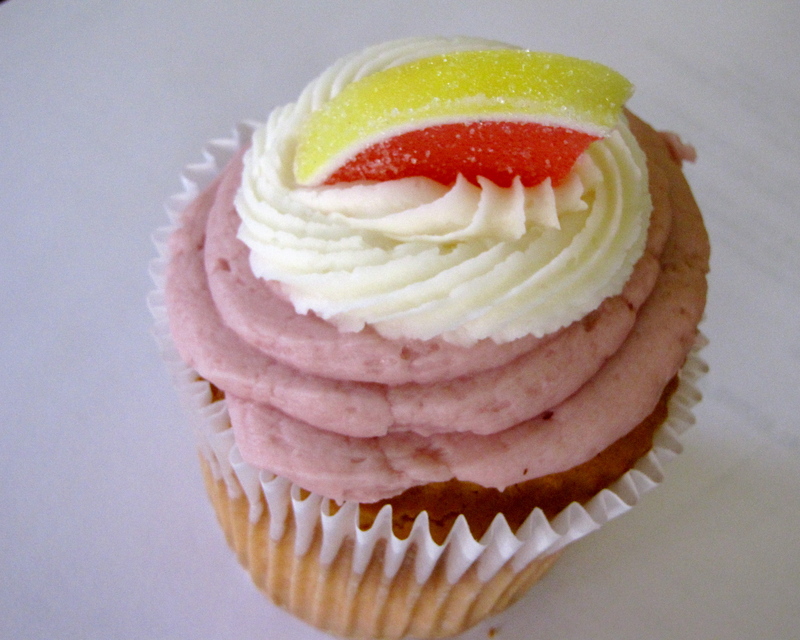 I, being a lover of the food, must at this point also admit to watching an episode or two…or 20. I must also admit that I had some pretty serious hair envy. I mean look at that thing! Anyhow, Richard informs me that he was at the game that evening making “Liquid Nitrogen Blue Popcorn Balls” for a Demo in the Outfield Experience. So can we expect to see those puppies coming to a concession stand at the ballpark soon? I’m guessing probably not, but speaking of concessions at The K (and in keeping with our food-themed blog entry), I highly recommend the BBQ Burnt End Sandwich for the next time you are trying to satisfy your hunger out at the game. It was very good… It even had pickles on it… And it was only six bucks. Now if we can only convince them to put Liquid Nitrogen BLUE pickles on there, maybe we could land a spot on TOP CHEF. Although I’m guessing blue pickles won’t have that same nifty appeal as blue popcorn. In fact, blue pickles sound kinda gross. Alright, scrap that idea until my pal Richard Blais can find a way to make it work. Well, what can I say… What a weekend. Opening Day and the newly renovated Kauffman Stadium were spectacular. Over 38,000 fans, the rain had washed away and the sun was shining. Although the entire Pre-Game Ceremony was awesome (even Dayton Moore went out of his way to let folks know), two things really stood out for me. The first was a very moving video presentation that chronicled Royals’ history past and present. It was tremendous and even included local city shots and fans around town. 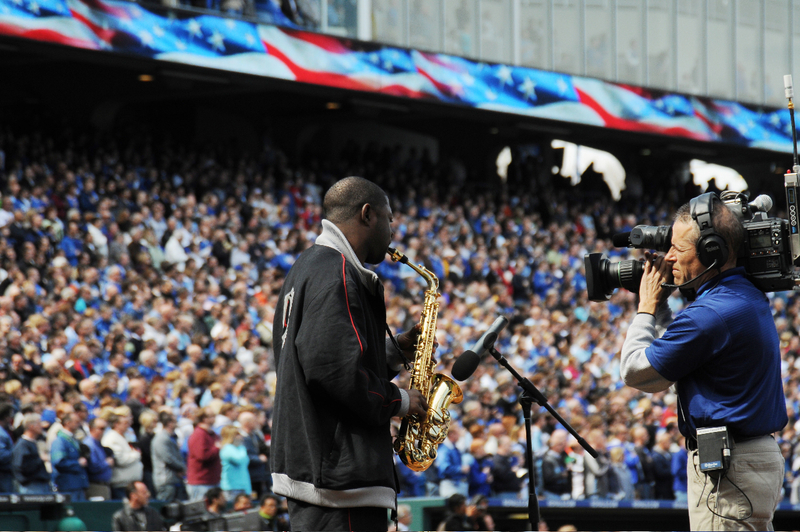 The second was the performance of the National Anthem by Saxophonist Michael Phillips. AMAZING. I loved it. I knew of Mr. Phillips from the people in charge. I knew that he had performed the Anthem at the NBA Finals and at countless other venues, I even knew that he was gonna hold out one note for a really looooooong time. I did not know it would be that AWESOME. It was. For those of you who missed Opening Day… bummer. 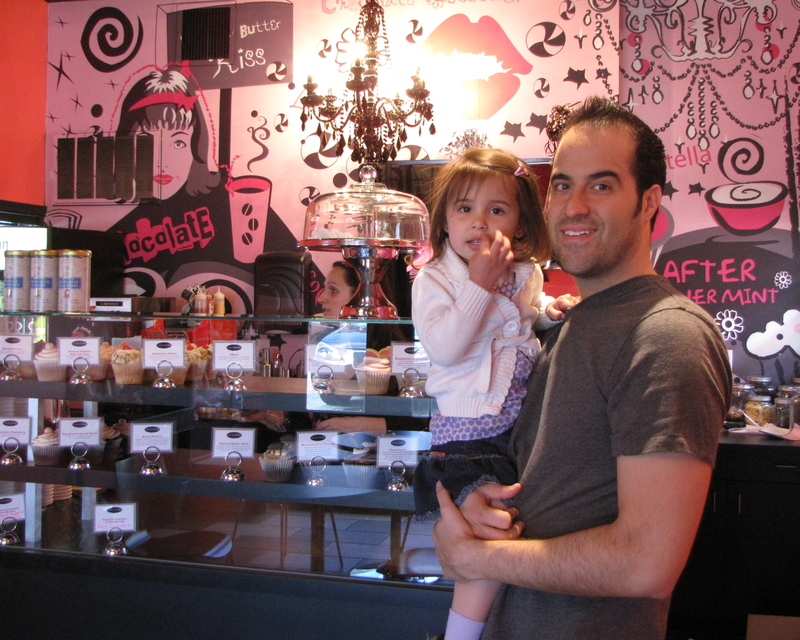 I never really understood all the hoopla before, but after witnessing April 10, 2009, I’m not likely to miss it again. Also Spectacular. So spectacular that the KC STAR notes that it is now “one of the very best stadiums in baseball — maybe the best.” I won’t disagree. The 360 degree experience is upgrade enough for me, but why stop there? 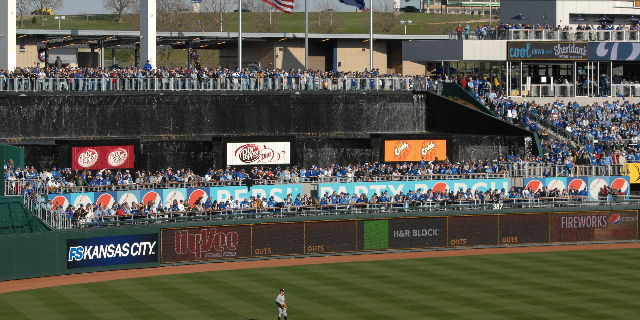 The Miller Lite Fountain Bar beyond Left Field looks to be a prime spot. Very Las Vegas feel. Sitting at the bar while being able to look over your shoulder at the kids playing in the “Little K” and having baseball spilled out right in front of you… pretty sweet. Now all we need is some blackjack tables. Another high profile area is clearly the standing room only section beyond the outfield. Packed. 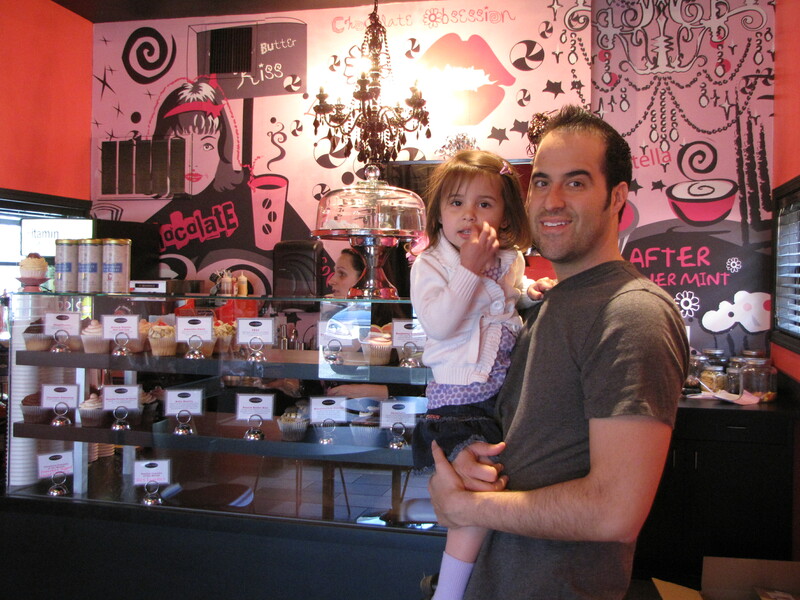 Great place to set up shop, and there are even counter tops to place your soda pops. The few times I ventured down this weekend, half the folks there told me their seats were elsewhere, but they just wanted to come watch the game from here. Be weary though, I’m told on sold out games you can’t get down there unless that’s your proper place. I choose to highlight these two areas because it seems you can find info on many other stadium upgrades elsewhere. LIKE HERE, perhaps. Or for folks who like lots of pictures, why not HERE? Finally we come to this, and yes, yes, I’m speaking of Reggie Jackson. On my way to a promotion during a game I happened to run into Mr. Jackson in the lobby of the Diamond Club. He was there “arranging” a glass vase filled with baseballs for a display of… umm… Baseballs in a vase, I guess. Now I’m usually not awe struck by players or celebrities and Reggie was no exception (although I really wanted to ask whatever happened to the “Reggie Bar“). My usual stance in these situations is to just file it away to tell friends about later. But this time I was thinking of YOU folks. The readers of the blog that might actually enjoy a picture of me and Mr. J. So… I thought I’d politely ask if I could get a quick pic for the blog. Now I think it’s safe to say that if I’d gotten that picture, this is probably where you would be seeing it. So… suffice it to say, I did not get the photo with Reggie. He really had to stay focused to organize those balls in that vase. 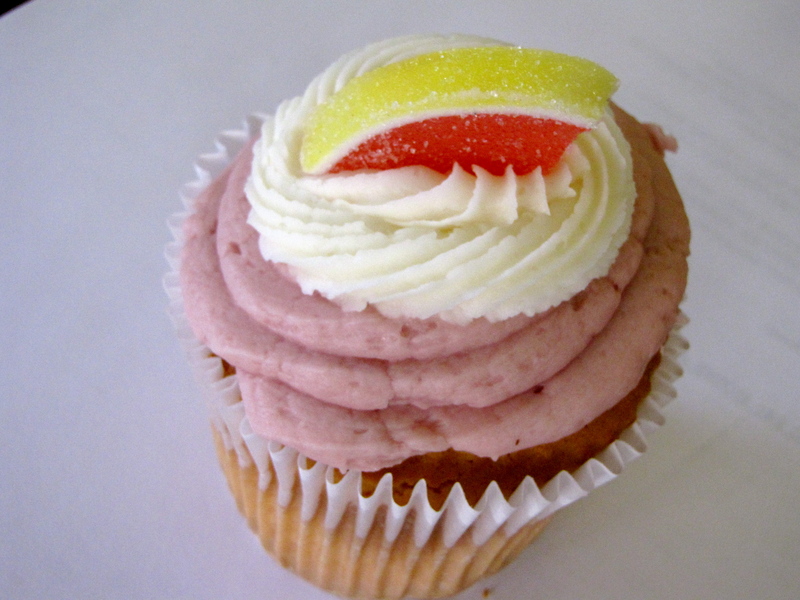 It did look lovely, though. Like 30 baseballs in a vase. Anyhow, I guess things could be worse.